It is well known that even brief periods of hypoxia lead to serious disruption of neural function. Neuronal properties are modified within seconds of the onset of anoxia and within 2.5-3 minutes anoxic depolarization begins (see for example Silver, 1977a,b), characterized by massive loss of K+ and diffusion of C1- into the cells. 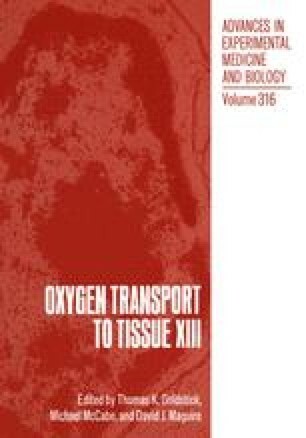 If reoxygenation occurs within a few minutes the cellular events and integrated neural function recovers, but as the period of oxygen deprivation is extended there is progressive irreversible loss of function.